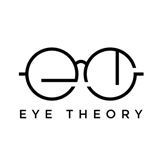 Eye Theory (Houston) - Book Appointment Online! Our mission is to WOW our patients by combining world-class service with the latest innovative technology in the eye care industry. We offer the highest-quality products on the market to ensure our patients SEE GREAT and achieve their maximum visual potential. Our doctors are certified Optometric Glaucoma Specialists who will provide the highest-level optometric care to ensure our patients FEEL GREAT. With experience consulting for a well-known luxury eyewear brand, our team will help our patients find the perfect frame to ensure they LOOK GREAT. All Questions were answered. I am excited about my new lenses with awesome frame.